2. Food and beverage providers at any district site are encouraged to provide a variety of nutritious choices consistent with the current USDA Dietary Guidelines for Americans. Portion sizes should be age-appropriate for elementary, middle, and high school students, respectively. This includes products offered in snack bars, activity concession stands, a la carte, and vending machines. 9. Vending machines will not be available during the school day for elementary and / or middle school students. District employee lounges may be exempt from this requirement. 10. 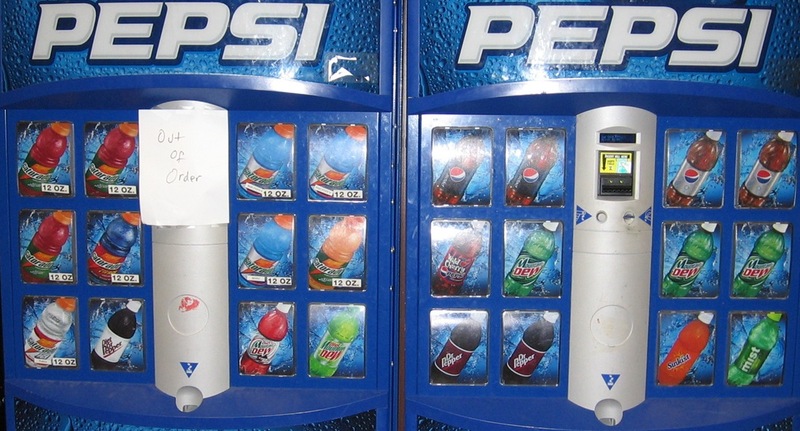 Beginning with the 2006-2007 school year, the District Wellness Committee will develop guidelines for the food and beverage choices in all vending machines. The guidelines developed will consider having only healthy options available during school hours. It’s not clear to me where the profits from the District’s vending machines go. We know from surveys and common experience that the majority of our schools offer children ready access to heavily sweetened beverages, highly salted snacks, sugary and high-fat goods, and candy…We know from research what any parent understands from common sense—that junk food obtained from vending machines, snack bars, school stores, or à la carte lines is far less nutritious and far less nutritionally balanced than meals that meet USDA standards… Clearly, these sales undermine the $11.5 billion investment that taxpayers will make this year in nutritious school lunches and breakfasts, but even worse, they are damaging the health and lives of our nation’s kids. My senior year at ARTECH, I served on the school’s health and wellness committee, and we spent a fair amount of time discussing vending machines. 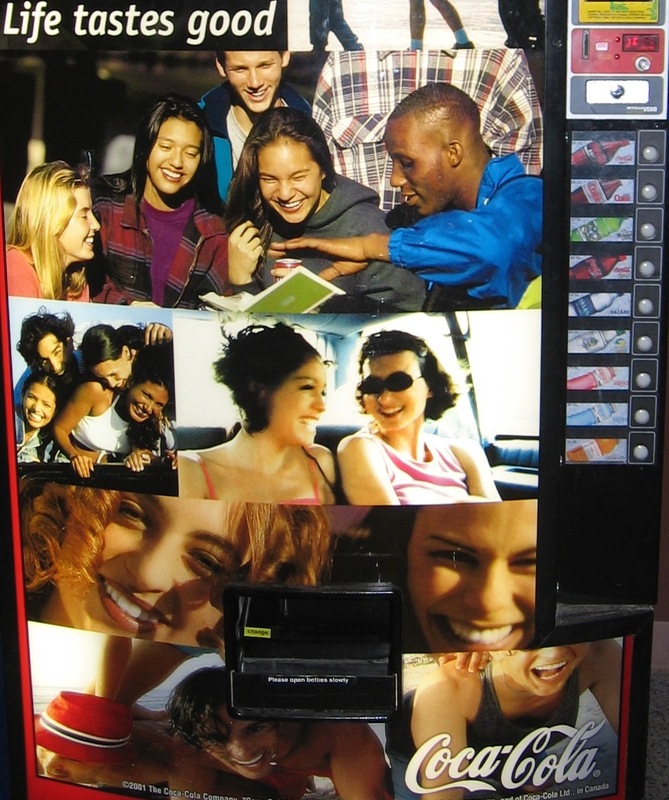 ARTECH had vending machines very briefly in 2004, but the staff quickly decided that it was not ethically sound for the school to be profiting off of harming its students’ health. It’s hard for me to point my finger at Northfield Public Schools and say, tight as things are, that they need to cut themselves off from a revenue source, but I think the call those ARTECH teachers made was right. A school should not benefit from hurting its students. The same goes for al a carte lunches. While it’s nice that their policy says that “portion sizes should be age-appropriate,” I think that portions of certain things have no business being sold in schools. Should the school really be serving french fries and pizza at all? Don’t kids have adequate access to those kind of foods out of school? Great that they want to serve whole foods, but what does “to the extent possible” really mean? As long as it’s not more expensive? As long as it doesn’t taste different? They don’t have to serve refined-grain food ever. And it’s odd that they say these things (offered to the extent possible) will only be providing “choices” so that, if students choose, they can, theoretically, maybe eat healthy food. This is a long way from a proper nutritional standard. Considering that for both middle and senior high students, lunch is their primary break during the day, I hardly think 20 minutes is adequate to wash their hands (per A6), get their food, eat it, and move on to their next class. There’s an intense TED Talk by author Ann Cooper on this subject worth a watch for anyone interested. Thanks, Sean. I’ll see if I can get a school board member to comment here. 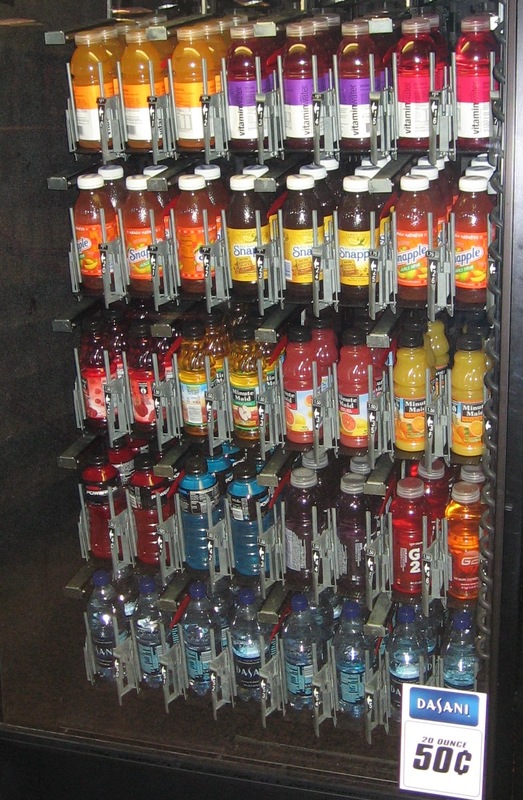 In general I would go along with offering better options in the vending machines and cafeteria. Having three kids in school however brings up cost issues for me. Snack foods in vending machines and the cafetria are not responsible for being overweight or the reason for an increase in child diabetes. This starts much earlier. In the end parents are mostly responsible for their kids eating habbit. A complete elimination and restriction from “Junk Food” will sometimes have the opposite effect. When I was a teenager I did a lot of things because my parents told me not to do so. Balance and moderation will go a long way in diets and food choices. There is nothing wrong with an occasional bag of chips, cookies or cheetos, washed down with a soda. Snack foods in vending machines and the cafeteria are not responsible for being overweight or the reason for an increase in child diabetes. It seems a bit like saying, “Well this gas station isn’t responsible for people smoking just because it sells cigarettes.” The gas station isn’t responsible, but they are aiding the problem. Likewise, the schools are encouraging obesity by offering these foods. But, in fact, there is. There’s a new book out — The End of Overeating by David Kessler — which discusses how foods are engineered to get people to overeat (just like cigarettes are engineered to get people to smoke more) with a universal combination of sugar, fat, and salt. Let’s just take a couple of things from that vending machine, Doritos Cool Ranch and Bugles. The second, third, and fourth ingredients are Coconut Oil, Sugar, and Salt. The first ingredient? Corn. Doritos have too many ingredients to even attempt to list, but it essentially tells the same story. These are not foods that should be eaten in moderation (in the way that some say eggs should be eatn). These are foods that should simply not be eaten at all. Whether or not they single-handedly cause obesity — which they don’t — is not the point. Just like the gas station selling the pack of cigarettes, Northfield Public Schools is profiting by an encouraging an unhealthy addiction. People are free to make choices, this is the foundation of a free society. If schools won’t sell snack foods then kids will bring it in from home. So what did we achieve? Other then taking a source of income from the district? Unless of course you are suggesting a general ban of snack foods? I think we all have seen what the prohibiton did to our country. If you really concerned about what you are eating I suggest you watch ” Food Inc”. This makes snack food look like….well…a snack. It seems to me that there is no reason why the soda and junk food can’t be replaced with healthier choices of less processed, healthier snacks. If it’s there, the kids will eat it. We need to quit making excuses as to why we can’t make changes that will improve the health and well being of our youth. The link between adequate nutrition and learning was established years ago. The research is there, though we’ve yet to implement changes that are so easy. I don’t think anyone is looking to ban junk food or take such extremes. How about if we just give our children an opportunity to make healthier choices. There are children who have never been exposed to healthy choices. Perhaps this will be the place they try some different options. Maybe they’ll like them! Just because the vending machines are providing a source of revenue for the school district doesn’t necessarily imply that this is justified. We need to fund our schools adequately so such backwards ways of doing so are necessitated. The military does not hold bake sales as a means of funding itself. Northfield is a highly educated and progressive community. Perhaps the time is now to implement changes that would better serve our youth. I graduated from the High School in 2008 and in the fall of my senior year the district tried closing the vending machines during school hours. I saw first hand that what Peter said is what happens. Instead of choosing healthier option students put 12 packs of pop in their lockers and walked around with 2 liter bottles. Instead of curbing consumption it appeared to increase it. Also if the school really wants to encourage healthy choices they need to make sure those choices are reasonably priced. Pop cost $0.60 or $1.00 for a can or bottle. Gatorade starts at $1.25 and the price for a bottle of milk was at the time $2.00. For a high school student with limited disposable income the cheap choice is often the preferred one. Matt, do you suppose the presence of the vending machines reduces some trips off campus to the convenience stores during lunch periods? Maybe this isn’t an issue–what do you think? Do some kids leave the school for chow? What are the rules on that? Also, the machines are handy for the public to use during after-hour school events/meetings when the concession area is not open. Around the time the school district came out with their new wellness policy, the League of Women Voters did a “4th Monday” program on the subject of school food and the vending machines. There were representatives from the school district in attendance, and some very unsatisfactory replies to questions from other attendees. As I recall, they were allowing the vending purveyors to select what would be a more “healthy” array of product, rather than specifying what would and would not be allowed. Sean and Sharon: I must totally agree with you. There is no need for the schools to be supporting an unhealthy philosophy , as well as no need for kids to be walking around drinking liters of pop during the school day. If parents of kids, and kids, want to eat snack foods that are basically full of “bad” stuff, then that’s their choice; but the schools basic task IS education, and if you have “health and wellness” committees, and “health” classes, part of the educational process should be to NOT offer products which are in direct conflict with best health practices. Curt, As of my last year at Northfield off campus lunching was limited to Juniors and Seniors only and required a permission slip signed by your parents at the beginning of the year. The vending machines did offer an alternative to leaving school given the time constraints of a 20min lunch period. Overall I think the vending machines and off campus lunch are more separate issue. I feel that really all you would be doing by taking the vending machines out of the schools would be to encourage students to supply sugar and such things in other ways and pigeon holing students in to a certain set of approved choice. As a college student now I feel that one of the best things that I learned in school was the ability to make beneficial choices. Do I agree with vending machines in the elementary and middle schools? No. However at some point you do have to exposes kid to challenges they will face in the real world and allow them to make decisions on their own. Instead of insulating children in a bubble allow them to go out an make decision based on their knowledge of healthy eating. Is pop good for you? No. Is one every once in a while going to kill you? Probably not. I believe this comes down to a greater issue of realizing at a certain point people are responsible for their own choices. No one forces a kid to bring money and put it in the vending machine instead of going through the main lunch line, salad bar, alternate lunch bar, ale carte or the snack shop in the lower cafeteria. That is the choice of the kid. I worry that you’re mixing up a sort of general freedom with what’s appropriate in school and what’s appropriate for the district to be profiting off of. There are many high school seniors old enough to smoke, and many do smoke. But it’s not permitted on school grounds, and the district certainly does not sell cigarettes to kids. For younger kids, I will reiterate, healthy “choices” are not really choices. Certainly for elementary kids and probably for a lot of middle school kids, you’ll eat what tastes good. It’s just not realistic to expect them to turn down food engineered to be pleasurable to eat. We have this obsessive idea with freedom and choice, but the reality is that most adults can’t resist the seduction of unhealthy junk food. Expecting kids to “just say no” (when, in fact, the district profits off them making the wrong choice) is simply reckless and immoral. Sean, I feel that your comparison of junk food to cigarettes is a little rash as one is a government controlled, age regulated product and the other is not. If you notice I did say, “Do I agree with vending machines in the elementary and middle schools? No.”. I am with you on young children not being able to make the right choice every time when faced with something delicious and sweet. However at a certain age you have to start letting kids make their own decisions, while still under parental supervision so you can guide them to the point where when they go off to college they have the practice to say no to being able to eat and drink whatever they want. Finally to address your concern about the district profiting from them making “wrong” choice I would like to point out that the healthier alternatives such as water or milk in a bottle cost equal, water, or more, milk. To preempt any comments about the carton milk being available some of us, such as myself, can not drink milk that tastes more like cardboard then milk. Obesity is a large problem in America however banning the substances that cause it is not a viable solution. Continued education on healthy choices and smart decision making is. Right on, Sean. Highly processed food is engineered to be the most tasty–and usually the most unhealthy food there is. Rather than tempt children with these “choices”, we should serve healthy food in the cafeteria and eliminate vending machines. We provide drinking fountains. And as to Matts point, we should consider making milk available at a subsidized cost. Sean: you are absolutely correct, IMO; the issues of general free choice and children learning to make good choices has been conflated here in a way that is not putting enough burden on the schools. You are right when you align the thought process to the smoking issue. When kids smoke and they do,why is it not allowed on school grounds? The school should not be in the BUSINESS of offering poor choices to learners. They would not support that link in any other way. It used to be that the profits from some vending machines went to the Booster Club; I don’t know where the $$ go now. Setting Bad examples is NOT what education is about. 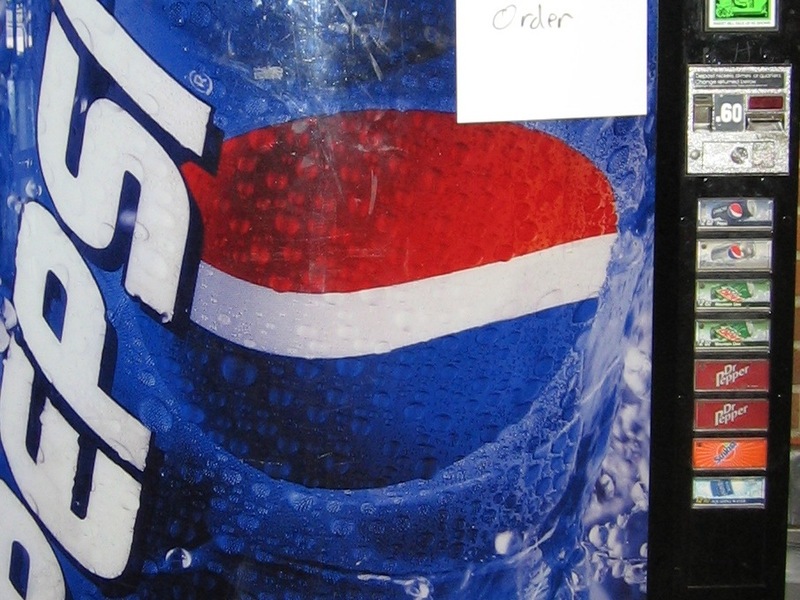 Given the known effects of sugar, corn syrup, and fats on health issues, the vending machines are an unsupportably poor choice on the part of the ADULTS in control of the process. The Wellness policy # 533 was passed by the Board at the end of the 2005-06 school year. The policy had a number of components including Foods and Beverages, School Food Service Program/Personnel, Wellness Education and Promotion, Physical Activity and Parent Communications with no less than 29 separate goals to be completed by school staff. 1 of those 29 goals was that beginning in 2006-07, the District Wellness Committee would develop guidelines for food and beverage choices in all vending machines. While these guidelines were discussed on multiple occasions, I do not believe that the Wellness Committee reached any agreement to modify the status quo which is vending machines are not accessible to elementary and middle school students during the school day but are available to high school students. replaced less healthy choices with fresh made salads, sandwiches, tacos, baked potatoes, etc. Upgraded coolers, freezers and other equipment to increase food safety and quality. We were without a food service director for part of the 2008-09 school year. Our new director has identified working with building administrators to focus on implementing the goals of the “Wellness” policy for 2009-10. We will revisit the vending machine guidelines again to see whether progress in this area can be made. As far as the vending machines at the high school, the money goes to the student activity fund to help pay for programs and activities for high school students that are above and beyond what the limited high school budget can provide. I am not sure what banning junk food from schools will accomplish. It might not make any available for the hours of recess. Recess is a very small window of opportunity in comparisson to the opportunity during the rest of the day. If the junk food is not available in the vending machines, then kids just bring it in from home. Education and leading by example will go much further then an outright ban. It is the parents responsibility to lead the way. Kids always will be tempted by what is forbiden. Banning junk food will have the opposite effect. go much further then an outright ban. I find it odd that some here get all in uproar about junk food. A few weeks ago a high school teacher, who happens to be our state senator, has endorsed the legalization of pot…and most here supported it. If my children are given the choice of a candy bar or a joint…I hope they chose the candy bar. Peter, I’ve seen other derisive comments about Kevin Dahle’s votes in relation to his role as a teacher, and they — like yours — are completely inappropriate. His compassionate support of relieving pain for the terminally ill is not anywhere near as broad as “endors[ing] the legalization of pot.” Even if it were, it does not affect his teaching ability. Let’s keep Mr. Dahle and Senator Dahle separate. Peter- You have to remember that a lot of people who post here have entirely different opinions about how things should be done than you and I have. When they have a majority in congress, then that is where you and I get paranoid. Sean- I remember a couple years ago when about 35,000 uninsured people were added to MinnCare. The money for that program came out of the Human Resources Dept. To free up that money, the healthcare workers in the elderly care centers, many of them single mothers trying to keep a family together, were denied a raise. The majority of elderly rely on state payments for their care, since most estates are only large enough to support care for about 9 months. Thus, if there is no money to reimburse the care facilities, then there is no money to give raises to the workers. Sorry, but it makes this claim of compasionate liberal legislators ring a little hollow for me. It doesn’t affect his teaching ability , but it speaks very much to his personal values. The legalization of “medical” marihuana is nothing more then a front and first step to overall legalization. We already have a big problem with people abusing prescription drugs why would it be any different with pot??? If we as a society want to legalize pot then let’s talk openly about it and stop the medical pretence of it. Kevin Dahle has shown bad judgement on this IMHO. Sean: I like Kevin Dahle, had him as a teacher, went on a Missouri trip with him for Junior Posse, and had him as my drivers education instructor. That being said him and I do not agree on many things politically. Your argument that we need to keep Kevin Dahle and Senator Dahle separate is just plain nonsense. He is only ONE person. He is a teacher. That is part of him as a person and a Senator. His decisions in one area does carry over to how he is viewed in another. He is not two separate people Sean. but it speaks very much to his personal values. Personally, I think it speaks quite positively to his “values.” You obviously disagree, but in either case, but I don’t think those values are relevant in the classroom if — again — they don’t affect his teaching. That being said him and I do not agree on many things politically. Your argument that we need to keep Kevin Dahle and Senator Dahle separate is just plain nonsense. He is only ONE person. Matt, I’m really not sure where you’re going with this. Yes, of course he’s the same person. I’m saying it’s unfair to hold the actions of his role as state senator against his role as teacher. If we were making some fundamental evaluation of his worth and personhood, then sure, they’d both be relevant. But we’re not. Community members do not have the right to make those kind of judgements on teachers. I note that the regulatory framework in Minnesota gives favorable treatment to snack foods and pop. The licensing and (particularly) inspection requirements for vending machines serving dairy products, juice, and fresh foods are greater, due to the purported potential for spoilage and health risks to the public. This policy, a combination of state legislation and MDA rulemaking, applies even if a vending machine is dispensing nothing more hazardous than an orange or an apple. Similar standards apply to convenience stores, which is why there are substantial numbers of stores that sell exempted merchandise (pop and prepackaged snack foods) but nothing healthy. Most vending companies have organized their business around working within the inspection exemptions. There is a cascade effect where if a vending company has a single vending machine that dispenses milk, the delivery and storage facilities supplying the machine must then be refrigerated and inspected, personnel must be licensed food handlers, more records must be kept. 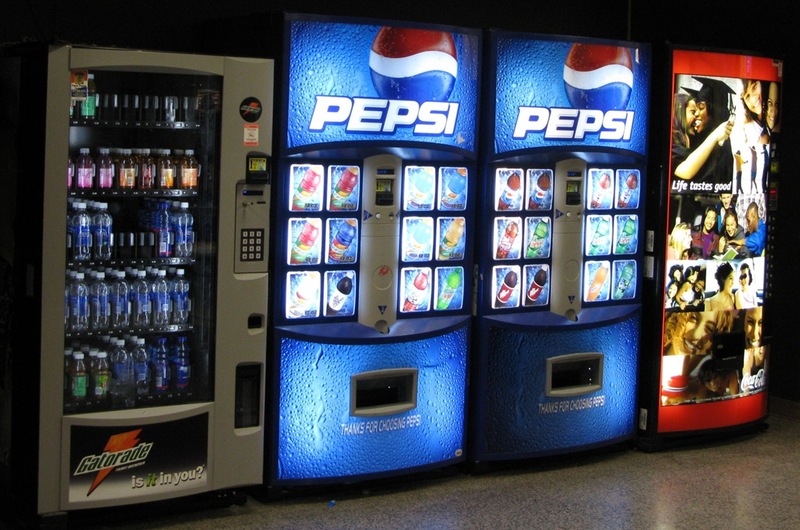 The few companies that offer vending services with a comprehensive range of fresh foods generally require an annual subsidy from the location where the machines are placed, rather than paying rent. Meaningful change would have to come at the state level through exemptions for vending of fresh foods not prone to creating a public health hazard through spoilage, or an end to the system of favorable treatment of junk food because of its greater safety vis a vis spoilage. Thank you for this very helpful and illuminating information on the practical problems of vending machines and the products they carry. It further emphasizes, in my mind, all the reasons to get rid of these vending machines in the schools. The pure profit motive is too strong, and cannot under the current system support educating youth about healthy eating habits. If parents, kids make bad choices, that’s their personal prerogative. But the schools should not OFFER and SUPPORT bad choices; if they do so, they are going against their own educational philosophy. In an ideal world (or even in a somewhat larger district), one might hope for a food service that sells individual, healthy items at appropriate times. Sean: Mr./Senator Dahle is employed in two public positions which means that the choices he makes reflect on him in both arenas. Politicians personal and business lives are connected to their political ones. This is especially true in the case of Senator Dahle who used his position as a teacher and his background in education as part of his platform while running. Mr./Senator Dahle is employed in two public positions which means that the choices he makes reflect on him in both arenas. Except one of those positions is affected by public opinion, and one of them is not. Thankfully, we don’t elect our teachers. We should not judge our teachers (in their teaching capacity) as we do politicians. Good point I never thought about the spoilage factor in vending machines. On the grocery store level I have seen the emergence of healthy alternatives that are pre-packaged. Maybe that would be a first step to offer alternatives. I am still against an all out ban since it will have an effect opposite to it’s intention. I can however support alternative choices offered side by side. A refrigerated machine would typically have several fruit selections, yogurt, cottage cheese, milk, chocolate pudding, and sandwiches. Over the years, I’ve worked at a couple places that have subsidized setups like these. The sandwiches tend to be pretty awful, the other items, passable. How does Senator Dahle’s support of the legalization of marijuana fit in to this? I do not believe, Peter , that issues should be conflated. They each have their own specificities that determine informed outcome of consideration and opinion. Poor food choices offered by the schools (not by Mr Dahle) and his views on the legalization of marijuana should not, and I believe in his case are not, based on a matched set of criteria. If you do not support Kevin Dahle politically, that’s fine… but all decisions cannot be made on ‘monolithic’ presumptions. No one ever wants to deal with the original, SERIOUS issue raised, i.e. 1. IF the school has a “wellness” committee, what is their rational for having Bad things in vending machines. 2. If vending machines are there to make a profit (for whom) and healthy items have too much spoilage for profit, then the profit, not health, seems to be the governing issue. 3. If the kids need snack food, let them buy healthy snacks, fruit, crudites and dip, cheese and crackers, whatever… at the lunchroom area… the workers are there anyway. 4. the initial issue was “crap food in vending machines/why?” and all of a sudden we’re into the civil rights issues of legalized marijuana! Nathan, I agree with your points but once again, you’re way over the line with your sarcastic tone so I’ve removed it. This is not about conflated..this is about principle. We invite the legalization of pot and hope that youngsters make the right decision based on education. But somehow we don’t want to apply the same principles when it comes to candy bars and soda?? But, again, Peter, you’re comparing apples and paint thinners. We “invite” the legalization of marijuana for people with serious, painful diseases. Under the recommendation of a doctor. We’re not talking about legalization for the general public. We’re not talking about availability to kids. And we’re not talking about it being allowed in school. If junk food were restricted like even the most liberal politicians would like marijuana to be, we wouldn’t have a problem here. But as long as you insist on comparing these and talking about “principle,” why is that you say outright bans are not effective for unhealthy food but apparently are effective for denying relief to the ill? Wouldn’t a restricted, reasonable approach to both these be most appropriate? and legalize marijuana for medical use, and then … go from there. Maybe kids could be allowed to have a small market (like farmers market) at school and sell legal goods to each other. Peter, your logic is clear. 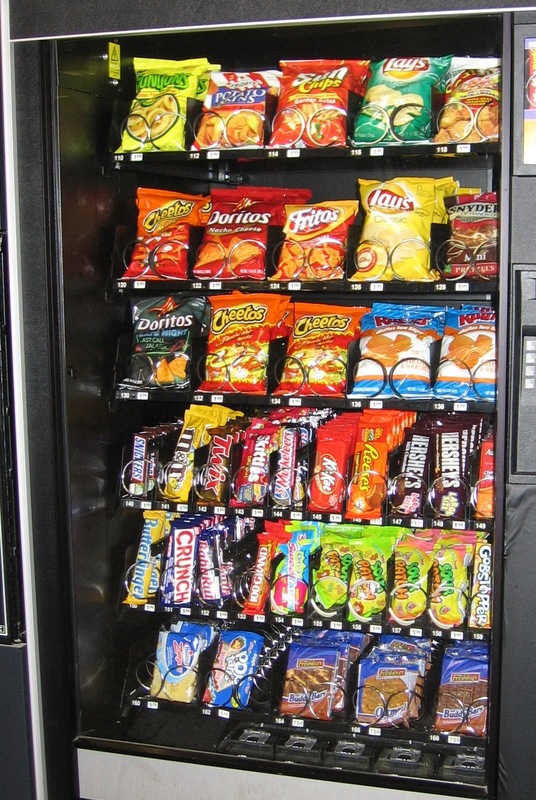 If you support allowing vending machines with junk food in our schools, you would also support legalizing marijauna because logically, smoking pot leads to the munchies, which in turn would lead to increased revenue for our schools because the machines hold the Doritos and M & M’s. The “medical” use of pot is a back door for total legalization. We can’t even control over the counter narcotics, because all it takes is to find the right doctor to prescribe them. The intellectual dishonesty of the pro pot argument is silly. Let’s call it what it is. Back to junk food. The result of a ban will be kids bringing in their “junk” from home. Unless we plan to have random searches ??? The whole argument on banning snack foods is ridiculous and nothing else then another “feel good” meassure without any substance. Kids today are much more aware of nutrition then we give them credit for. The few “fat” kids that are don’t will continue to load up on empty carbs..with or without the ban. But at least we can pad ourselves on the shoulders for having done something. The intellectual dishonesty of pushing junk foods to kids is serious. Let’s call it what it is..
Nobody is pushing junk foods. Last time I checked most people still have what is called free choice. This is not about “pushing junk food”. This is about one set of people trying to force their believes on to others and taking away another free choice in the process. People should be allowed to make their own choices..even if we don’t agree with it. Peter, you’ve again gone back to “free choice,” but it still doesn’t add up. I’ll put aside the issue that food choices are never truly “free” — your body has physical cravings and desires — and point out the obvious issue that school inherently limits freedom. Furthermore, there’s still the distinction between allowing junk food and profiting from it that you’re insisting on mushing together. Peter…you mention the “few” fat kids. Have you looked around lately? Three out of ten children are clinically overweight or obese. These conditions are almost certain to result in health problems; now or in the future. It is well known that junk food has contributed to our national obesity problem. This is not a free choice issue. Students do not have free choice. Just because they can ‘get it somewhere else’, does not mean junk food should be available in schools. Schools are supposed to provide the training and guidance that will contribute to the future well being of their students. They should not be promoting behavior that can kill them. If you can’t live with imperfections than you don’t deserve your freedom. This is another attempt of crying to the government because we are bothered by certain imperfections. Just another (very little step) of trying to fix human nature via government intervention. …and yes..it is an issue of taking yet another free choice away. In essence you believe that parents are not capable of managing their kids food intake or that kids are incapable of making their own choices…so Government has to step in and fix it. The school district is not the ‘Government’. No one is trying to limit free will/free choice. The case some of us are trying to make is that the school is in the business of educating, and providing a suitable environment in which to do so. It is dichotomous at the least, and hypocritical at worst, to teach healthy nutrition in health classes and then sell a non-nutritious product, for profit (whose ? ) in a school vending machine. Kiffi…I don’t know for sure but the ‘profit’ you mention is probably shared by the schools. Peter…who said anything about ‘crying to the goverment’??? Believe it or not, there were not always vending machines stocked with junk food in our schools. When I attended there was a milk machine and an apple machine. That was it. Of course we ate junk food, it just wasn’t sold at school. School lunch, an apple or a bottle (yes bottle) of milk…that was all the school deemed necessary to sell. So what’s the big deal? The school put in the junk food, they can take out the junk food, and thereby present a coherent educational statement regarding nutrition. As to….”If you can’t live with imperfections than you don’t deserve your freedom.” Living with imperfection has nothing to do with deserving to be free…absolutely nothing. Wm : at one point I believe some of the profit from the vending machines went to the booster club, and/ or sports, or was under the control of the events coordinator at the school. Does anyone know what the situation is now? Of course it does. People like you want the government to solve all their problems and in the process let them take all our freedoms. Instead of accepting humans faulty characters and nature, you want to fix it. In the process you give government powers to regulate your life. All in the name of fixing those that don’t live up to your perception of the world. From banning smoking, to regulating food,to dictating what doctor you suppose to use, to enabling those that don’t want to work, to determining which education is best etc..etc..etc.. So, yes your (and others) inability to live in an imperfect world leads you to give up your personal freedoms and choices. If a centralized powerful government that regulates commerce and peoples life would be a recipe for success. Then all of the former Eastern Bloc countries would be powerhouses today. When I went to school we had vending machines and I am still alive today. Peter, it occurs to me that what’s actually being asked here is not for the schools (“government”) to do something to help people, we’re asking them to not hurt — to not sell harmful foods themselves. Libertarians such as yourself are constantly asking government to not do things. I don’t know why you see this request as such an attack on freedom. Here is a reality check for you. We all know that there are powerful lobbies, and PACs which influence government. 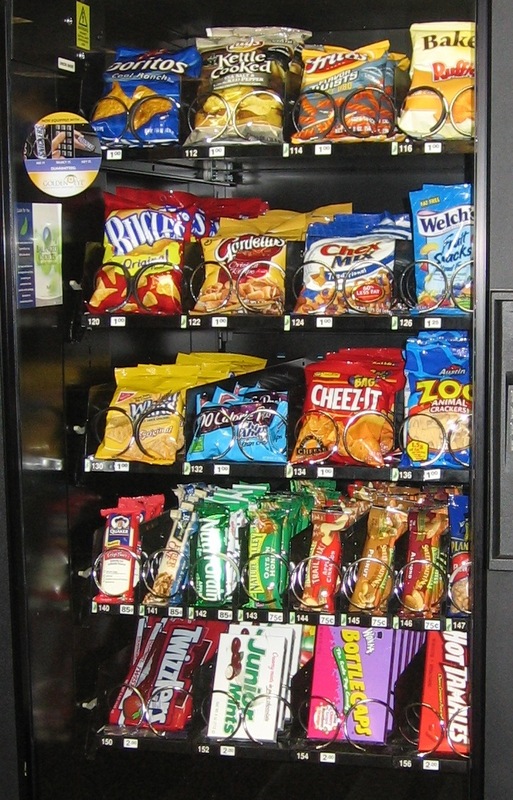 What I, and some others here are asking, is for our school district which we support with our taxes and approval of excess levies, to follow the same educational principles in their vending machine policy, as they do for their general position. That’s all … no big conspiracy, no challenge to free will. etc. Peter, it seems to me that you simply want to argue. First it was Mr./Sen. Dahle, then marijauna, now it is “free choice/free will” and the role of a centralized government in our society. The debate at hand is simple: the school has vending machines full of unhealthy snacks and sodas. Some of us take issue with this. No one is wanting to ban junk foods from our youth. Teenagers are free to eat any way they want. The role of schools is educating our youth. Youth can learn about healthy choices and lifestyles by being offered such choices to make. It’s a pretty straight forward issue. The conspiracy theories that you are arguing are irrelevant to the topic at hand. Peter I live in this ‘imperfect world’. Thereby I have the ability to live in this ‘imperfect world’. Get it? As for your statement that “People like you want the government to solve all their problems and in the process take away all their freedoms.” Wow! I thought I had very few problems, and most of those I do have, the government can do nothing about, nor do I expect that it should. And you say that I want government to take away all my freedoms as well! You don’t know me, so I guess you might not know that is just not so. Please be aware that I very much value my constitutional freedoms, particularly the pursuit of happiness. And at the core of my happiness there is one thing I have pursued relentlessly for over fifty years: FRITOS! Even back in the day, when that simple snack was not available at my school, I was still able to acquire those tasty little morsels and eat them in the classroom. Not without some effort and planning of course…they had to be purchased ahead of time, smuggled in, and discreetly consumed. But all this taught me a valuable lesson: Freedom does not come easy and government can not solve all my problems. So Peter…maybe my experience can change your position on this contentious issue and you can join me in supporting the ban on junk food sales in schools. How about it? Peter, other than what you eat, how much you weigh, what you drive, how much insurance you should have and making sure you pick up dog poop – these people are happy to leave you alone with your freedom. Ok, and you can’t dislike anyone (accept conservatives) and no weapons. In the Sat. Strib: Healthful snacks on way to schools. At school, the breakfast and lunch options often are balanced, but students have access to plenty of other junk food in a la carte offerings, vending machines, concession stands and even classroom parties. The survey found that even when healthful options are available through those avenues, students don’t pick them. Only 5 percent of food purchased in middle school a la carte lines was healthful, even though 54 percent of the offerings were considered healthful.